If the deal has no teeth, no penalties and does not even hold a nation accountable to it's own targets, how can it collapse? The USA could decide to do like China and create a new Coal power plant every week and they would still not be in violation of the PA.
Can failure be considered a collapse? Same reasoning, how is it a failure? It's only a failure to those of us who look at it with the expectation that it would do anything good for anybody. There is no way to fail within the PA. Which is why we all laughed at those here who were beating their chests about how it was a great victory for Climate Change, etc. I guess the deal is being shown for what it is... nothing. Which is why we all laughed at those here who were beating their chests about how it was a great victory for Climate Change, etc. And as Eagle points out, it isn't. So it's actually a failure. And it is fun to point out they've been had. Some big American coal companies have advised President Donald Trump's administration to break his promise to pull the United States out of the Paris Climate Agreement – arguing that the accord could provide their best forum for protecting their global interests. Remaining in the global deal to combat climate change will give U.S. negotiators a chance to advocate for coal in the future of the global energy mix, coal companies like Cloud Peak Energy Inc and Peabody Energy Corp told White House officials over the past few weeks, according to executives and a U.S. official familiar with the discussions. "The future is foreign markets, so the last thing you want to do if you are a coal company is to give up a U.S. seat in the international climate discussions and let the Europeans control the agenda," said the official, who asked not to be named because he was not authorized to speak publicly on the issue. "They can’t afford for the most powerful advocate for fossil fuels to be away from the table," the official said. Cloud Peak and Peabody officials confirmed the discussions. In Cloud Peak's view, staying in the agreement and trying to encourage "a more balanced, reasonable and appropriate path forward" on fossil fuel technologies among signatories to the accord seems like a reasonable stance, said Cloud Peak's vice president of government affairs, Richard Reavey. The coal industry was interested in ensuring that the Paris deal provides a role for low-emission coal-fired power plants and financial support for carbon capture and storage technology, the officials said. They also want the pact to protect multilateral funding for international coal projects through bodies like the World Bank. The Paris accord, agreed by nearly 200 countries in 2015, would seek to limit global warming by slashing carbon dioxide and other emissions from burning fossil fuels. As part of the deal, the United States committed to reducing its emissions by between 26 percent and 28 percent below 2005 levels by 2025. 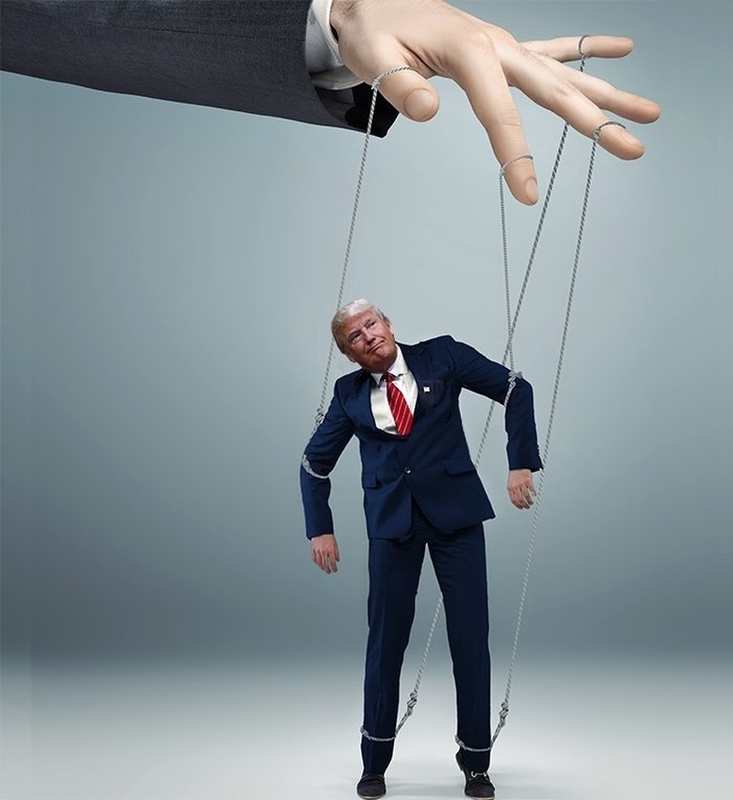 During his 2016 presidential campaign, Trump vowed to pull the United States out of the pact, tapping into a well of concern among his fellow Republicans that the United States' energy habits would be policed by the United Nations. But since being elected, he has been mostly quiet on the issue, and administration officials have recently been asking energy companies for advice. The federal government wants to delay the implementation of its much-touted new methane regulations by up to three years. Documents obtained by CBC News show the initial federal plan was to phase in tough rules to control methane from the oil and gas industry starting in 2018, with all of the new regulations in place by 2020. But a revised federal timeline shows the regulations would be phased in starting in 2020 and wouldn't be fully implemented until 2023. The delay is in sharp contrast to the announcement made only a year ago by Prime Minister Justin Trudeau, who stood on the White House lawn with U.S. President Barack Obama and declared they would jointly tackle methane emissions from the oil and gas sector and reduce them by up to 45 per cent by 2025. The documents referring to the revised timeline came out of discussions between the government and stakeholders. The new timeline will be incorporated into the proposed methane regulations that are expected to be announced at the end of April. Methane is a powerful greenhouse gas that has 25 times the climate warming effects of carbon dioxide. Most of it comes from oil and gas operations. It leaks from equipment like compressors, pumps and pipelines or is vented from oil and gas wells and petroleum storage tanks. For that reason, it's considered to be relatively easy to capture the emissions by improving equipment and changing industry practices. Reducing methane is the only part of Canada's national climate plan that deals directly with emissions from the oil and gas industry. "It is what is called the low-hanging fruit of emission reductions in Canada," said Tim Gray, executive director of the environmental non-profit group Environmental Defence. Gray says for that reason, there is no justification to delay new rules that will make companies reduce methane emissions that result from their operations. "You can't stand on a stage and say, 'We are going to move ahead on our commitments,' and then the implementation mechanisms all get watered down," said Gray. The documents show the federal government wants to "adjust" its timing to give provinces more time to bring in their own equivalent rules and also to give industry more time to spread out the costs of retrofitting facilities. Sunny Ways!!... Or is Hope and Change more applicable? They should just cross Paris off the list, for the sake of the children. The American people rejected hope and change. But don't let that stop you from whimpering about it long after its sell-by date. Perhaps another well known city close by could stand in for Paris until this mess is sorted out once and for all. Hmmmm, what city, what city, . . . . .
You mean like in the, 'cheer up,things could be worse dept'? I'm thinking not, last few times all that happened is things got worse. Looks like Justin beat Trump in backing out of the Paris Deal. Yeah, . . . . and, . . . . ., Thank you. PS, I forgot to mention one of the biggest dangers to exposure to methane results from the damage that gas does to the red blood cells and their ability to carry O2 to all the parts of the body. Parts like the brain that can detect minute changes in O2 levels as elevation increases or decreases and the visible effects of altitude sickness are widely documented. Exposure to methane results in the same decrease in O2 but the brain isn't picking up on any changes that would indicate any changes at all are taking place so no alarm bells go off even though the symptoms are visible to one degree or another. There is some decent data of symptoms/recovery from the mountain climbing community as well as scuba divers as they also have experiences with O2 level changes as does combat flight training as they experience black-outs so there should be signs that point to that happening to some degree or another and it should match the same pattern as any that interfere with the body getting the O2 it needs to function normally. Recovery from a methane exposure is an iffy thing. It could be that the impairment experienced is there for good and treatment is not offered for a condition that doesn't exist. The field cure is to give O2 as required. On the micro scale that treatment might be something that should go on for weeks or months if the goal is to make the long term effects as close to nil as possible. You don't have to go far to find a bunch of lab-rats. The big methane leak in California a while back would give you all the raw data you could possibly want as far as who was there, what isn't done is a follow-up after the gas was shut-off and people came back to the place it was before the leak happened. Inhalation of toxic gases can lead to pneumonitis. It has been known that methane gas intoxication causes loss of consciousness or asphyxia. There is, however, a paucity of information about acute pulmonary toxicity from methane gas inhalation. A 21-year-old man was presented with respiratory distress after an accidental exposure to methane gas for one minute. He came in with a drowsy mentality and hypoxemia. Mechanical ventilation was applied immediately. The patient's symptoms and chest radiographic findings were consistent with acute pneumonitis. He recovered spontaneously and was discharged after 5 days without other specific treatment. His pulmonary function test, 4 days after methane gas exposure, revealed a restrictive ventilatory defect. In conclusion, acute pulmonary injury can occur with a restrictive ventilator defect after a short exposure to methane gas. The lung injury was spontaneously resolved without any significant sequela. I've been trying to explain to those really bright people who know nothing that limiting energy gives the energy companies the abilities to write their own ticket. Limit oil drilling and you limit competition which is what drives the cost of energy down. Same with coal. They were interviewing people in some town in Sonoma CA or some such that had passed a law that any new construction was required to have solar power on their roof. None of the people had saved one cent on their electric bills and the installations cost more than $25,000 added to the cost of their homes. Oh yeah... when the subsidies stop... so do the savings. Canada has just 13 years to cut almost 200 million tonnes of yearly carbon emissions if it hopes to meet its 2015 international climate treaty obligations. The latest national emissions inventory report, published in April, shows Canada's emissions at 722 million tonnes in 2015, down just 0.7 per cent from the previous year. As part of the 2015 Paris Agreement, Canada agreed to a target of 523 million tonnes by 2030 — 30 per cent less than what the country generated in 2005. The target becomes even more daunting if there is any growth in emissions from industries, such as expanded production in the oilsands or new manufacturing. Indeed, the pipeline projects Canada has already approved in principle could add more than 40 million tonnes from additional oil extraction alone. Nonetheless, Environment Minister Catherine McKenna is insisting the government's climate change plan will allow Canada to meet its target. "If you look at the plan, it shows how we are going to get to the target," McKenna said. "We've taken very serious measures." The Pan-Canadian Framework on Clean Growth and Climate Change, signed last fall by Ottawa and 11 of the 13 provinces and territories, aims to take 86 million tonnes of carbon emissions out annually by 2030. That includes the impact of the carbon pricing regime to be phased in at increments of $10 per tonne starting next year, reaching $50 per tonne by 2022. Michael Cleland, chair of the board at the Canadian Energy Research Institute, said he pegs the odds of those cuts materializing by 2030 at "zero." "I don't see events or forces in the offing that are likely to change that in the next couple of years," said Cleland. Cutting coal-fired electrical plants, something Ottawa wants done by 2030, will eliminate 61 million tonnes, but three of the four provinces that still generate electricity by burning coal haven't committed to that yet. Cleland said there will be incremental growth in electric vehicles and more efficient buildings, but both are only happening "bit by bit." "I don't see evidence we're going to see a massive shift in the next 10 years," said Cleland. The good part is that you won't be on the hook like you were in Kyoto. It was a toothless agreement from the start. And Canada... well it seems as if Canada is not keeping up to its side of the bargain. Last edited by EagleSmack; May 2nd, 2017 at 03:52 PM.. Climate change poses a global security threat that all countries must fight together, a NATO general said on Wednesday, as U.S. President Donald Trump nears a decision on whether to pull out of the Paris climate deal. The comments were the strongest yet from the U.S.-European military alliance about the importance of upholding the Paris accord. They come amid lingering tensions between the leadership of the North Atlantic Treaty Organization and Trump, who at one point called NATO "obsolete". "There is a huge necessity that the U.N. continues to involve all nations and coordinate the action of all nations," to fight climate change, General Denis Mercier, NATO's supreme allied commander for transformation, told Reuters on the sidelines of a conference in Norfolk, Virginia. "If one nation, especially the biggest nation ... if they do not recognize a problem, then we will have trouble dealing with the causes," of climate change, said Mercier. Though he did not single out any country by name, the United States is the world's biggest economy and the second largest emitter of greenhouse gases after China. No wonder why the Russians will be able to run all over continental Europe. Of course they will, they had good practise with the USA and the last election getting their puppet into power. By whimper, do you mean laughing my balls off? Good. Paris is a plan that will devastate the world's industrial economy at the behest of the completely discredited, crackpot science of AGW. It's a thinly disguised attempt at wealth distribution to the third world, which will, in fact, impoverish ALL if implemented. We are NOT in a climate crisis, we are in a crisis of irrationality driven by fear, ignorance and maudlin sentiment. Last edited by coldstream; May 5th, 2017 at 01:15 PM..